I really did finish it in August. It just took me a while to get it documented. I think my daughter needs one size for width and another for length. We wear our dresses long so I automatically adjusted the skirt length. But I assumed the sleeve that fit widthwise would fit lengthwise. Obviously, the sleeves are too short. She loves it anyway. 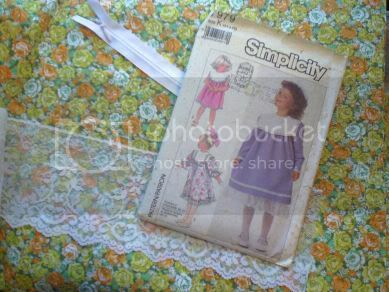 The pattern is an oop Simplicity Gunne Sax. It’s lovely. 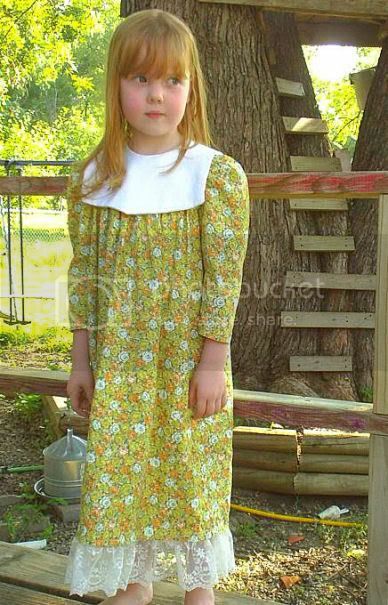 You could use some of the collar fabric and add to the length, or you could use the same dress fabric and add a line of ribbon at the seam line where they meet. Either way will be lovely. Oh, that’s so cute! She looks beautiful. As lsaspacey says, you could lengthen the sleeves if you want to.